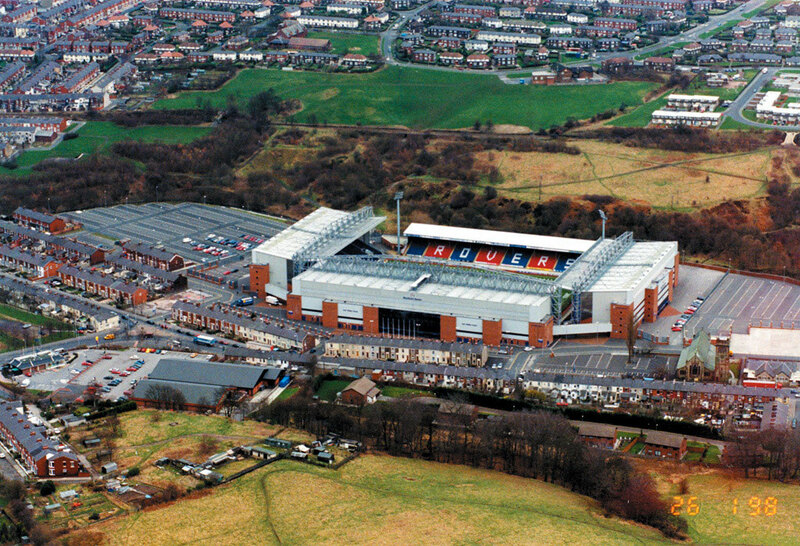 EWOOD PARK, HOME OF BLACKBURN ROVERS SINCE 1890. Blackburn Rovers F.C. 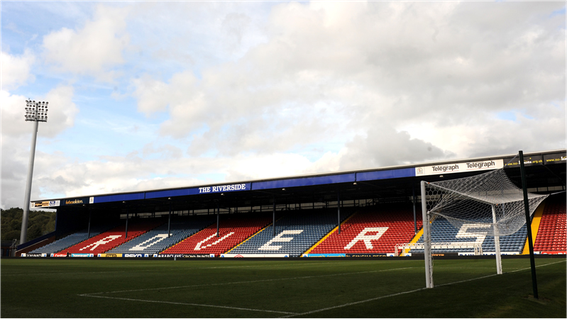 (1882 Rovers first played at Ewood Park; 1890–1893 Rovers leased Ewood Park; 1893 - present, Rovers own Ewood Park). 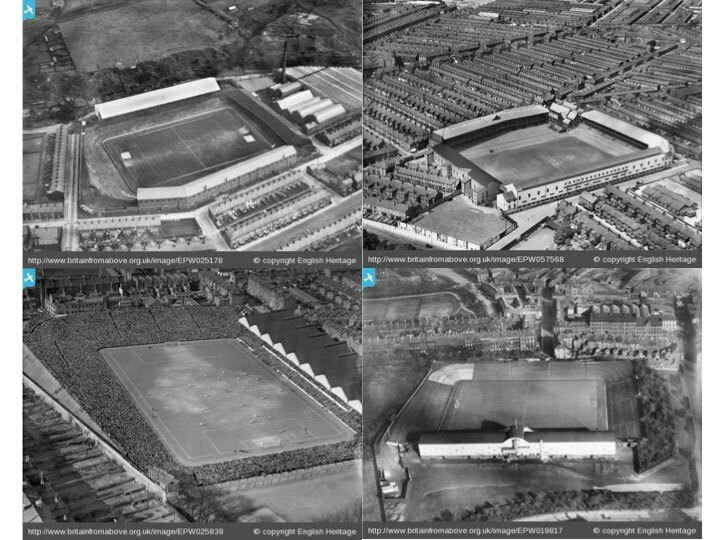 Archibald Leich's stadiums; Ewood Park is top left. History Of The Ewood Park Stands. Formally the Nuttall Street stand, it was originally built along Nuttall Street with changing rooms and offices underneath and was designed by the world famous architect Archibald Leitch, in the early 1900's, who also constructed stands at Ibrox, Roker Park and Goodison. The Nuttall Street Stand was built at a cost of £24,000 and opened on New Years Day 1907 for a match against Preston North End. 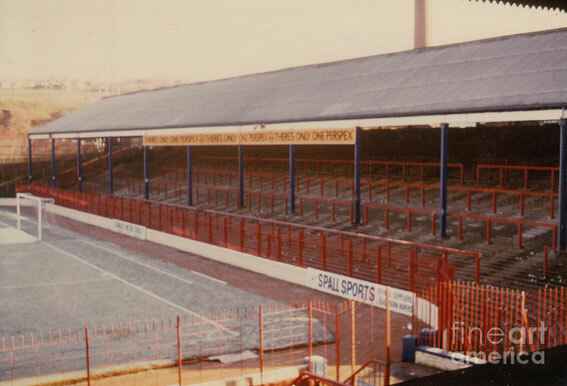 The Nuttall Street stand changed very little until a fire in 1984 in the Blackburn End corner of the Stand. 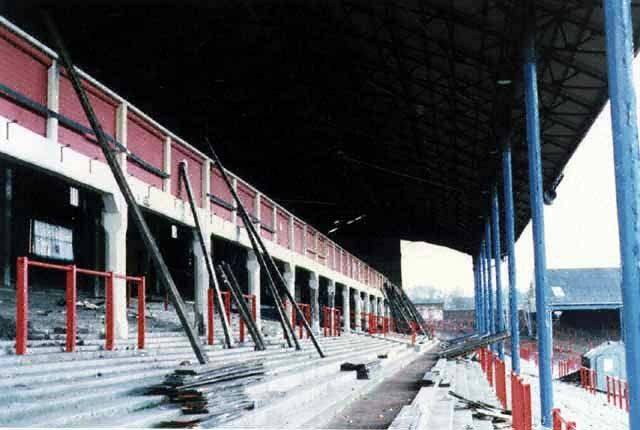 The club took the opportunity to redevelop this section of the stand with executive boxes and glass-fronted lounge overlooking the ground. The development cost £250,000 and was named the John Lewis Complex, after the clubs founder. The modern Jack Walker Stand now carries the name of Jack Walker, former club owner. 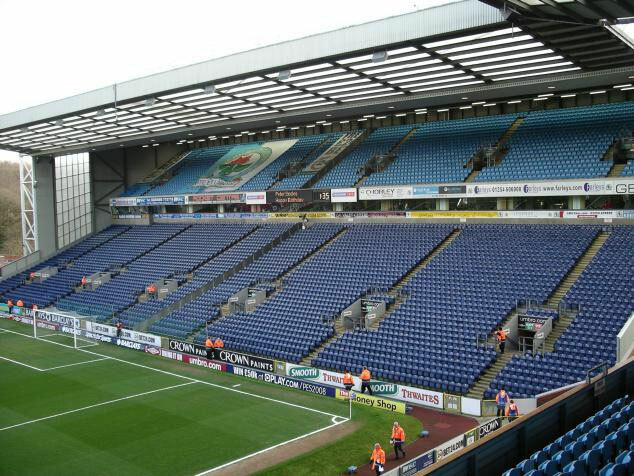 It has 11,000 seats and is one of three stands that were built during Ewood Parks ground redevelopment in the 1990s. This stand contains the home/away dressing rooms and media/conferencing facilities. Furthermore the stand is home to the Premier Suite and Jack's Kitchen which form part of the club's hospitality packages. The Blackburn End was terraced in 1928, but did not acquire its concrete cantilever roof until 1960, which was financed after an FA Cup run to the FA Cup Final in 1960. The Blackburn End then changed very little until Ewood Park was redeveloped 1993-1995. 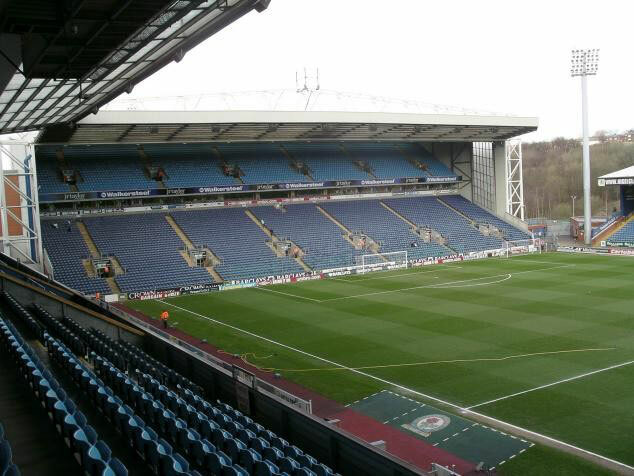 The Blackburn is so named as the town of Blackburn lies behind the stand and is for Blackburn supporters only. 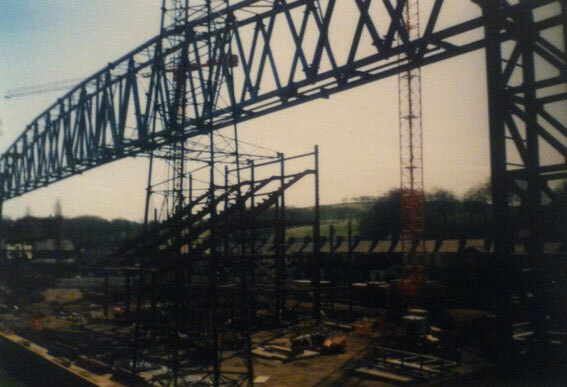 The modern Blackburn End Stand has 8,000 seats, and constructed in the early 1990s, the boardroom in the Nuttall Street Stand was dismantled piece by piece and, when rebuilding was finished, reassembled in the Blackburn End. The higher tier of the stand houses the family enclosure which is designated to provide a safe and comfortable environment for under 16s and their families. The lower tier houses some of the most passionate Rovers supporters. The rear of the stand is also home to a memorial garden and a statue of Jack Walker entitled "Rovers' Greatest Supporter". 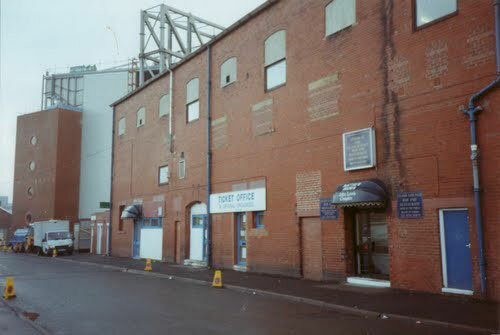 Outside the stand is the Blackburn Rovers club shop "Roverstore" which was revamped in 2008. The home supporters ticket office and "Blues" cafe bar is situated in the lower reaches of the stand. From here ground tours are lead by Rovers legend, Ronnie Clayton. Furthermore, the stand is home to the "Strikers Lounge" where members of the club's junior membership scheme "Team Rovers" congregate before and after matches. The Bob Crompton suite and Executive Boxes are also located in the stand. In 2006, the club announced that the stand would be sponsored by Walkersteel. 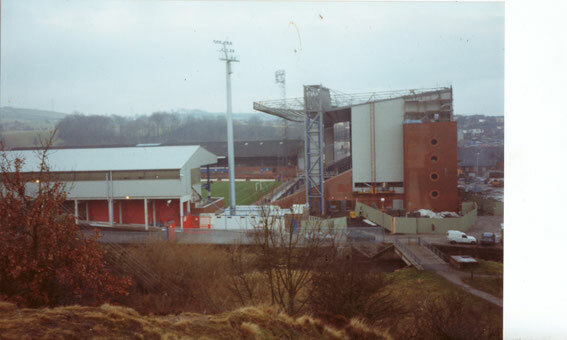 The Riverside Stand was named as such because it stands practically on the banks of the River Darwen. Two league championships in 1912 and 1914, along with three good cup runs, helped to finance a third stand on the River Darwen side of Ewood Park. Constructed to another of Archibald Leitch's standard designs it was completed in 1913 with 2,944 seats and a large new terrace in front. In 1928 the Riverside Stand roof was re-roofed for a total outlay of £1,550. It was not until 1988 that the Riverside Stand was replaced by a new stand as the old stand had failed a safety check in 1985 that came in the aftermath of the Bradford City fire; a new, single-tier stand housing over 4,300 (700 seated approx.). 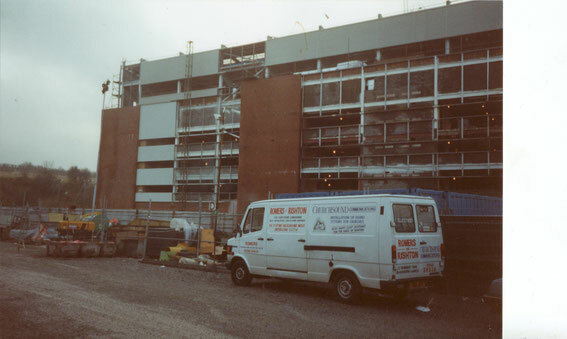 The new structure was a huge disappointment for the fans and further development of the Riverside Stand took place in the 1990s with further seats being added. The material for the new roof and terracing was provided by local steel firm, Walkersteel, owned by the man who was soon to buy the club, Jack Walker. The Riverside Stand is now the oldest part of the modern Ewood Park. It is the only single tiered stand in the ground; the seating spells out the word "ROVERS"- the club's nickname. The stand holds approximately 4000 spectators. At the corner of the stand is a giant TV screen showing features, team sheets and other live games on a match day. 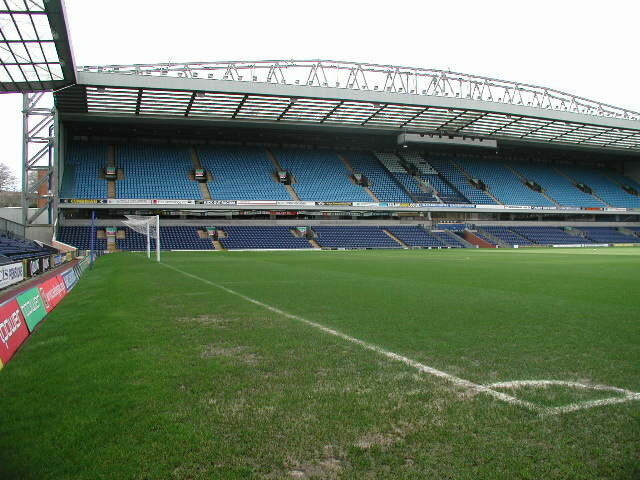 In 2007, Blackburn Rovers announced that the stand would be sponsored by Fraser Eagle. This agreement came to an end of the 2008-2009 season, as Fraser Eagle went into administration during that season. 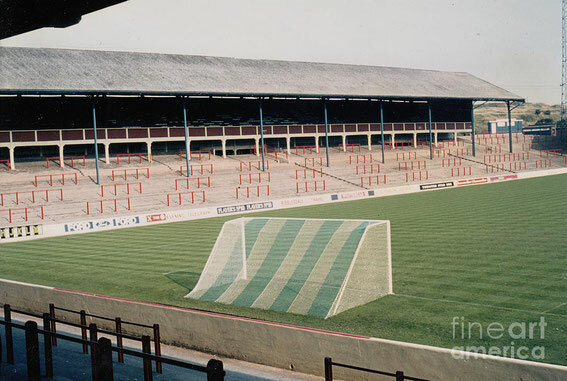 The club announced that the stand would be referred to as The Riverside Stand as no matter what name was given to the stand, most Rovers fans knew the stand as The Riverside. The Riverside Stand has previously been renamed The Walkersteel Stand and The CIS Stand. The first major developments of the facilities at Ewood Park took place in the early 1900s when a cover for 12,000 spectators was erected at the Darwen End of the ground in 1903 at a cost of £1,680. During the summer of 1908 the Darwen End was concreted. 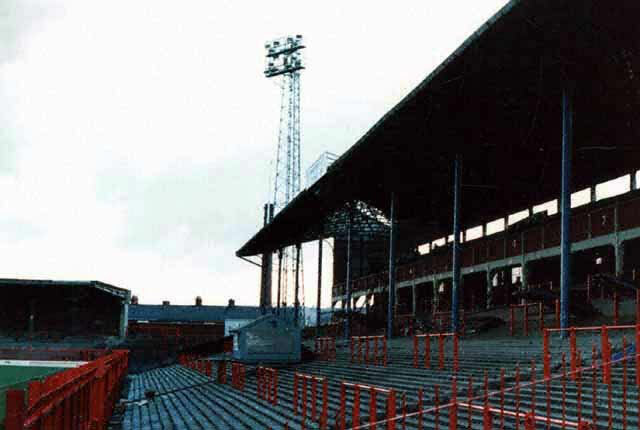 The Darwen End is traditionally for away supporters only, although in the late 1980s the Darwen End was opened for home supporters whilst the Riverside Stand was being rebuilt. The Darwen End is so named as the town of Darwen lies behind the stand about 1 mile up the road. No more major changes took place to the Darwen end until the ground was rebuilt between 1993-1995. 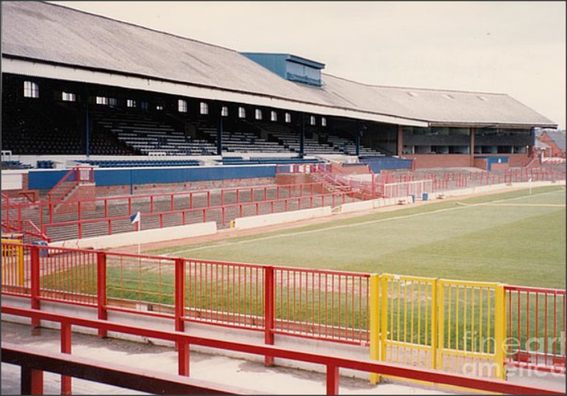 The modern Darwen End holds 8,000 seats, and houses away supporters in a two tier stand mirroring the Blackburn End. 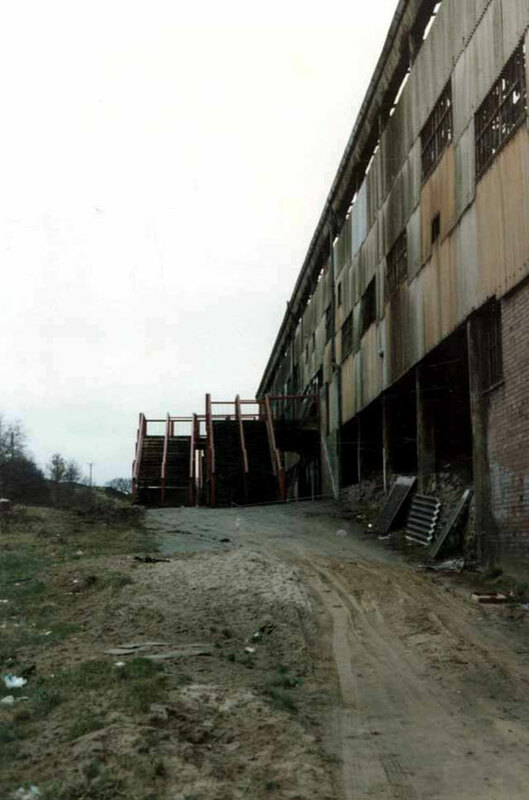 It was part of the early 1990s stadium redevelopment, its construction seeing the demolition of the Fernhurst Mill, the site of which is now occupied by a car park. The stand houses the club's education department which attracts youngsters from the surrounding areas for football-based activities in the classroom. Moreover, the stand is home to the "Legend' Lounge" a cost effective way for fans to enjoy top-level hospitality. Blackburn Rovers' club radio station- "Radio Rovers" is housed in the stand, where they broadcast live commentary from on match days. Also, the stand includes the International Suite, again part of the club'shospitality packages. Behind the stand is the Blackburn Rovers Indoor Centre which provides facilities for community coaching, football leagues and soccer schools. In 2008 it was announced that the stand would be sponsored by the WEC Group, a metal fabrication and engineering company based in Darwen. In the last 3 games of the 2008/09 season, the bottom part of the stand was used for home fans to give more confidence in the team to pull clear of the relegation zone. 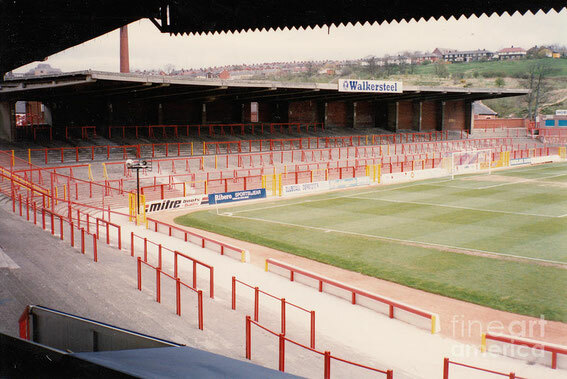 The Blackburn End reconstruction, 1994. Old meets new: The old Nuttall Street Stand designed by the legendary Archie Liech meets the new Blackburn End, 1994. 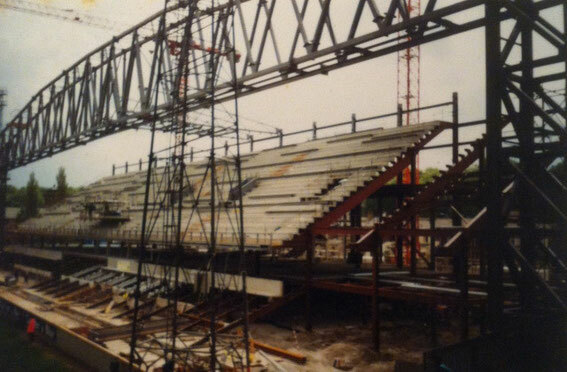 The Nuttall Street Stand demolished and the new Jack Walker Stand takes shape, 1994. The Ronnie Clayton Blackburn End, today.